April showers bring…warm weather and activism. We’ve compiled a list of awesome events hosted by our 50by2050 partners. Internship opportunities too! 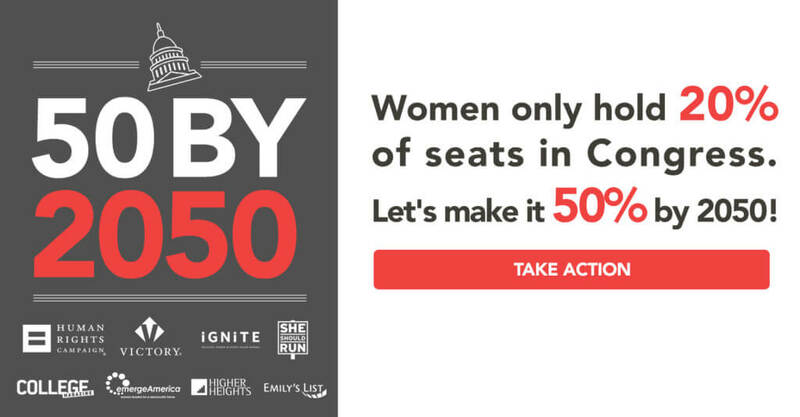 Learn how to start your own campaign or help other women running for office. Imagine interning for a female member of Congress. Check out our April calendar for pretty cool ways to jumpstart your career in politics and activism. Join IGNITE in support of our second annual Girls Rock! Arts, Culture and Politics event, where professional women can connect with politically ambitious young women and mentor them to become the next generation of leaders. University of Miami RSVP here. Elect Her is a daylong training program that trains college women to run for student government on their college or university campuses. The Victory Fund Champagne Brunch in Houston brings together over 500 prominent members of the Texas LGBT community, business leaders, elected and endorsed officials and Victory supporters from across the region. Join us in supporting Victory Fund’s efforts to recruit, train and elect openly LGBT leaders at all levels of government. Calling all politically active high school and college aged women who want to create change in their community! The Young Women’s Political Leadership Summit will inspire and motivate you to take the next step in your path to political leadership. Meet with local elected officials, learn from policy experts, hear from dynamic speakers, and build your network. 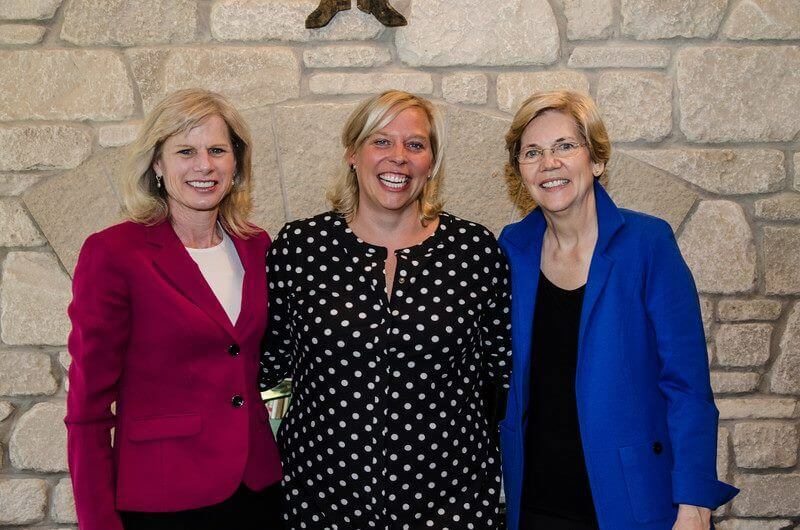 Political consultant Heather Colburn has worked with female politicians like Senator Tammy Baldwin, Senator Elizabeth Warren and Hillary Clinton. 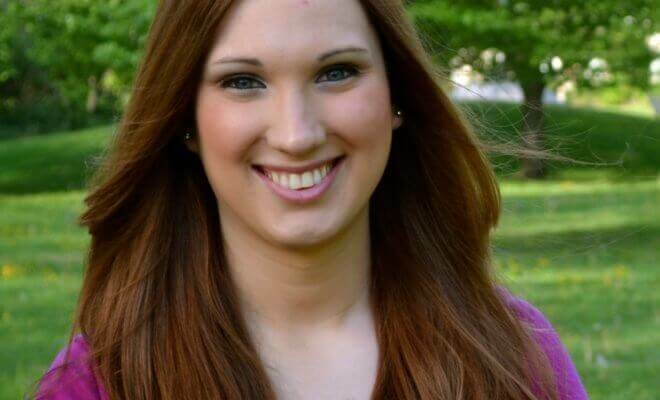 Transgender activist and National Press Secretary for the Human Rights Campaign, Sarah McBride became the first transgender person at a major party political convention in 2016. This powerful senator at first didn’t imagine running for office, but now she’s representing California in Congress and fighting for transgender rights and women’s reproductive rights.